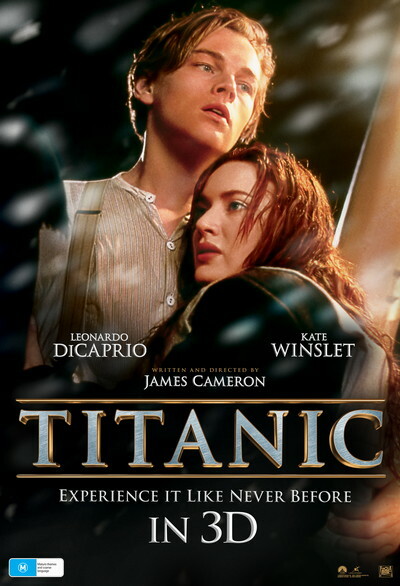 Story: Titanic is an epic, action-packed romance set against the ill-fated maiden voyage of the R.M.S. Titanic, the pride and joy of the White Star Line and, at the time, the largest moving object ever built. She was the most luxurious liner of her era - the ship of dreams - which ultimately carried over 1,500 people to their death in the ice cold waters of the North Atlantic in the early hours of April 15, 1912. Until "Avatar", also directed by James Cameron, this was the highest grossing movie of all time. Now re-released in 3D.